Way back in June Mysmartprice reported about the Nokia TA-1119 getting certified by the Eurasian Economic Commission (EEC) in Russia. Back then we didn’t know what phone was it, but now there is a lot of info that is pointing to the successor of the Nokia 8, or the Nokia 8.1. Its name showed up first on Geekbench, and that didn’t create a lot of smiley faces since that particular device was using Snapdragon 710. I’m still hoping that the Nokia 8 series won’t be downgraded with the 7XX processor series, and remain an affordable flagship phone series. If this is true then we didn’t see Nokia 8.1 there but rather Nokia 7.1 Plus. Let’s leave that for another post. Later on, Google did the same move as with Nokia 6.1 Plus and gave the ARCore support for Nokia 8.1 before the phone’s announcement. 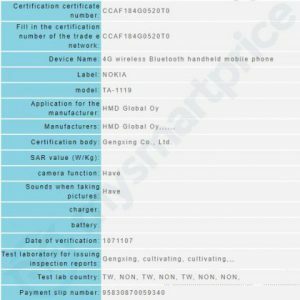 Now the same device passed the certification process of Taiwanese National Communications Commission (NCC), as Mysmartprice reports. 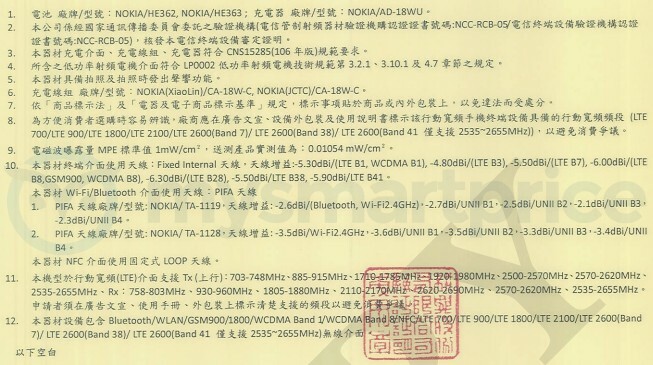 The documents don’t reveal much but parallel with Nokia TA-1119, Nokia AD-18WU (wall charger) and Nokia CA-18W-C (USB-C cable) got certified. They are both needed for the fast charging of the device’s E362/HE363 battery. 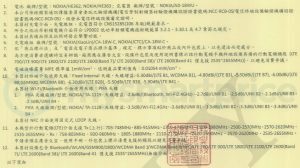 According to the same document, there should be another version of the same device TA-1128, and both should have NFC antenna. Since Chinese is not even my third language, I could be wrong in deciphering the documents :). 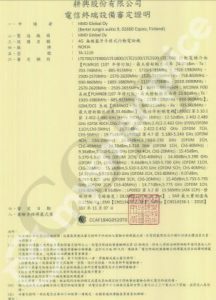 The full specs are still to be released and this should probably be when the device passes through the offices of Chinese TENAA. The one thing we can be sure off is that the announcement day of Nokia TA-1119 is close now. Withings teasing with a new product or feature? !